It's time for the Global Read Aloud #GRA14. I'm connecting with classrooms in Norton, Ohio (Shout out to Mrs. Skala) and Kentwood, Michigan (and to Mrs. VanVliet) through Edmodo. They have a Fourteenth Goldfish group you can join. Here are some interesting tips and links for you that collected from Edmodo! CNN article Are 'immortal' jellyfish the secret to immortality? Cool map with classes marked. Add your class too! Link to other classes on Kidblog. Here's my class! Close Reading Guide on TeachersPayTeachers! 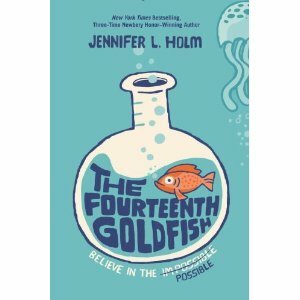 This is a guide to a close reading of this wonderful book, The Fourteenth Goldfish by Jennifer Holm. It was first published in 2014 and immediately made it onto blogs and even the Global Read Aloud. It's about Ellie. Her parents are divorced but cordial and her biggest concern is starting middle school. Then one day, her mother brings home a boy. He's a moody teenager...but something about him is very familiar to Ellie. He's a lot like her crazy grandpa/scientist. Could it be? Some themes to consider while reading this book: science ethics, science, divorce, friendship, aging, family, intergenerational relationships, growth mindset, and stereotypes. Close reading will be an integral part of teaching with the Common Core. Students need to know how to be analytic when reading texts and poems. I have outlined the components of authentic literacy and what it looks like in the classroom. I formatted the guide as follows. It begins with an explanation of close reading and how to format a lesson. Then, there is a story summary, themes listed and character descriptions. I created focus questions for each and every chapter. There are explicit gradual release formatted lessons throughout. I included a close reading sheet for each of the explicit lessons. You could use the focus questions to create more close reading lessons using the blank templates or for class discussions. At the end, there is a blank sheet for planning and to use with close reading of different chapters. I hope your students enjoy it as much as my students did. Immortality? Maybe not so far-fetched. Watch this! Watch this final event with Jenni Holm for the Global Read Aloud. Sign up now if you want to participate in 2015 for Fish in a Tree. "This was my first year using this book and your resources helped me out greatly! Thank you!" "Love this! My ESL students are struggling with the novel and this will help." "Thank you for this wonderful product! Walking through a close read with my students, helped them understand the process. It was fantastic being able to reproduce the novel in a close reading graphic organizer. This product saved me a lot of time!" "Awesome resource! I can't wait to use it. I can see that it will be useful with SEVERAL different grades. Thank you!" 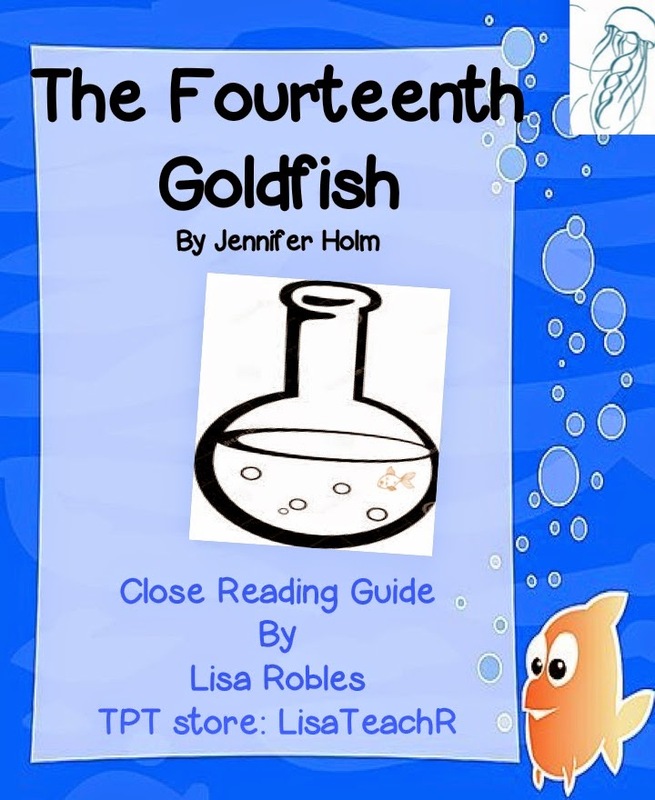 Thanks for taking a look at my close reading guide on my TPT store! This is a great book. Read it to your kids/class today!